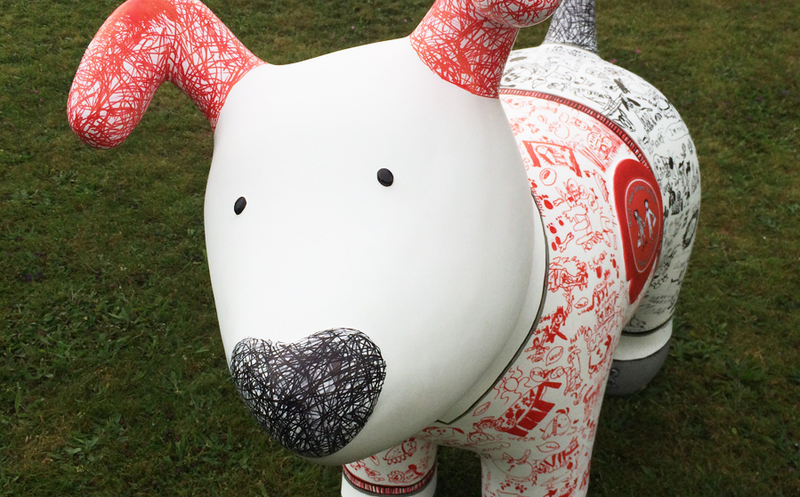 In September more than 40 giant Snowdogs will pop up all over Brighton & Hove, each individually designed by local artists and designers, raising money for local charity The Martlets. 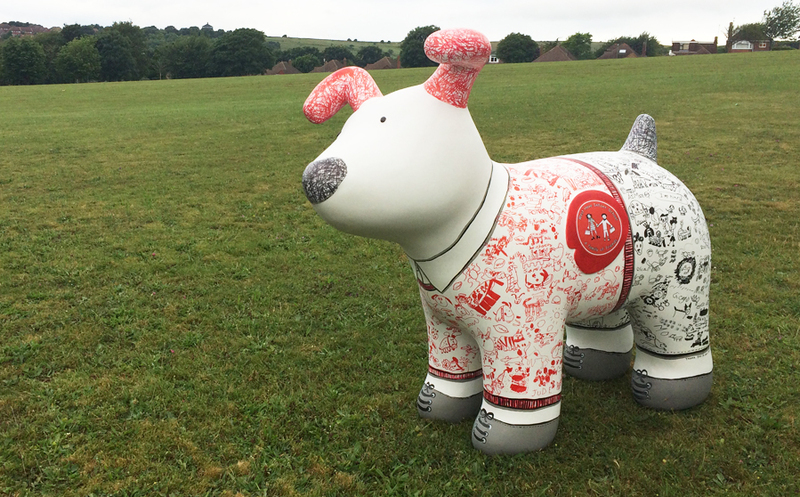 Alongside these sculptures, there will be a number of Snowdog Pups that have been created by the children of local schools. 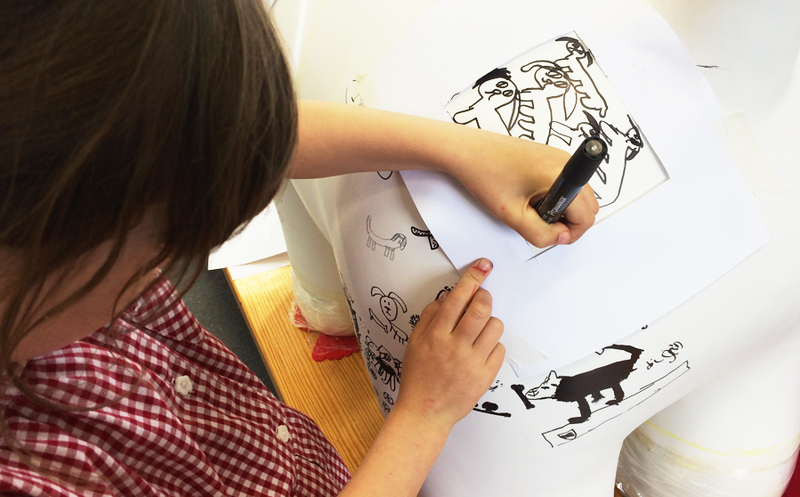 Having a son at Infant school has been a great opportunity to get involved with lots of creative projects that improve the school environment, or get the kids thinking creatively. This amazing project was something I jumped at the chance to be part of. Working with Heidi Compton, another creative parent, we came up with the idea to cover our Snowdog Pup with the kids own ‘street art’. 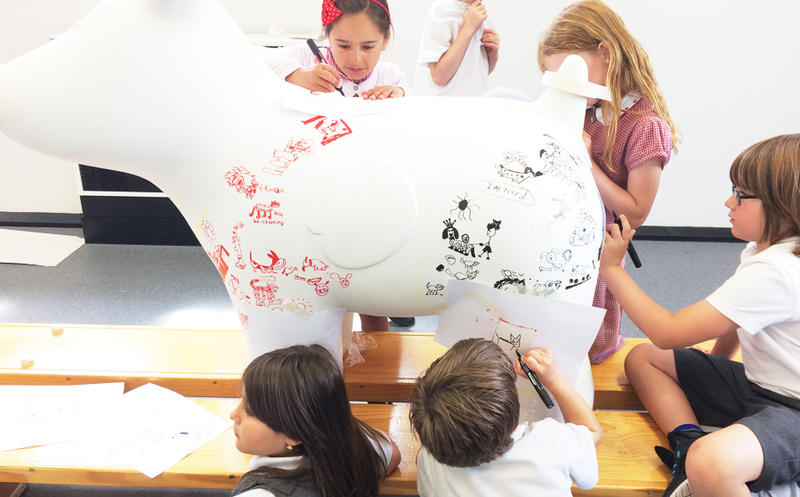 We asked every child in Year Two to draw a dog on the Pup, creating the school uniform as we went. 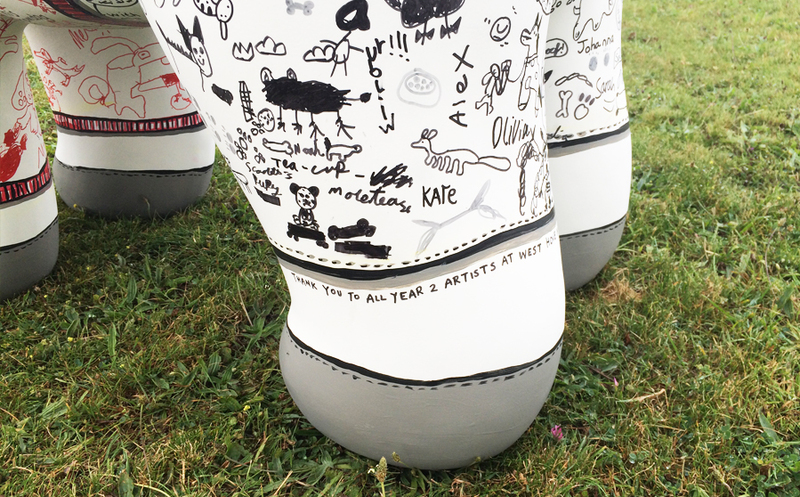 The result is a jam packed piece of art involving more than 100 kids, that is oozing with personality. 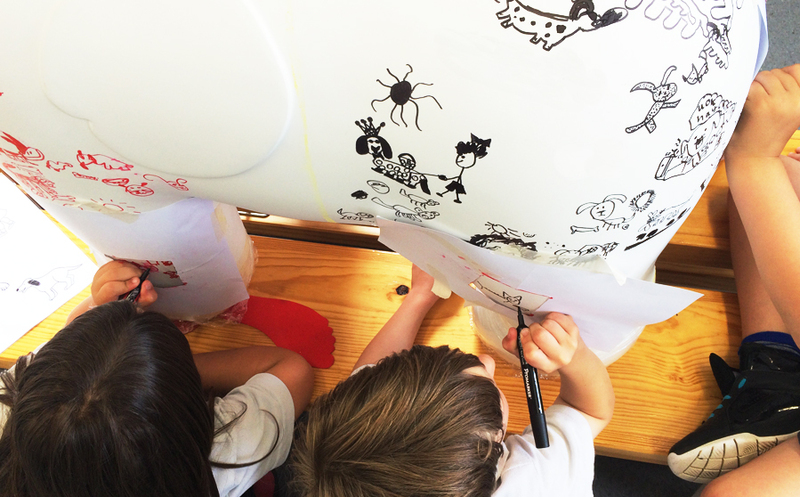 The challenge for the children now, can they find their own drawings?! Look out for ‘Art’ in a library near you soon.